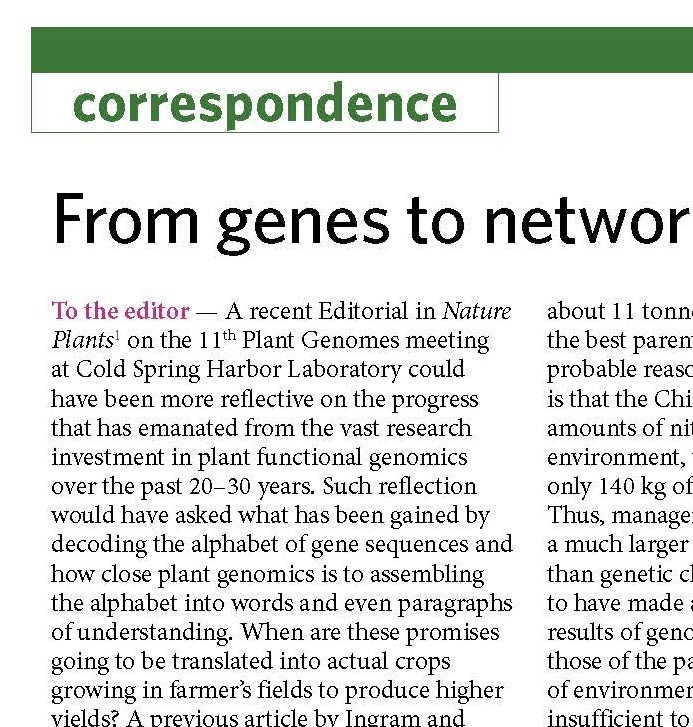 “The best and most relevant research for crop science begins and ends in the field,” say Porter et al. 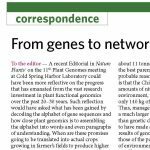 They call for an interdisciplinary approach aligning functional genomics with crop agronomy, while keeping food security in clear sight and contributing to the yield growth in crop production required to feed billions more consumers in coming decades. * Full access requires a subscription to Nature or purchase of the letter.